- Convert SWF files to video, so you can play them back with any media player on Mac, Windows or Unix, not just Adobe Flash Player. - Prepare SWF files for DVD players. - Save SWF files into MP4 format - perfect for playing back on Apple iPhone, iPod, Sony PSP, and other mobile devices. You can easily set the resolution supported by your portable device manually or choose a ready-made preset for iPod and iPhone. - Record and overlay narrations. Ever wanted to change the audio on a Flash video - or even add a completely new soundtrack your own? Now you can. 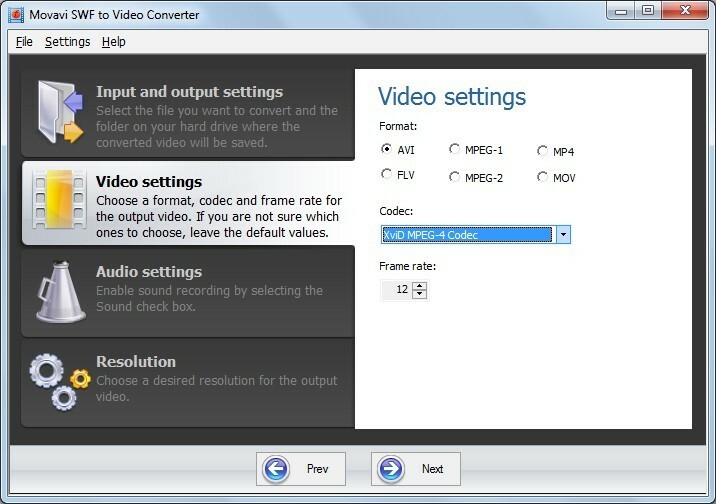 - Choose codec, resolution, and other settings to get the best results.